I’m not an ultrarunner; heck, I’m not really even a runner. I own the gym CrossFit Hyannis and most of my time is spent coaching and throwing around barbells, not throwing myself down mountains. But one fateful Friday night last spring I watched The Barkley Marathons on Netflix and by that Sunday I had driven from Massachusetts to Delaware on a whim for a 17k trail race. The following week I discovered ultrarunning, went down the rabbit hole on YouTube and quickly became obsessed with the idea that someone could run 100 miles. Who were these people and how did they do it? It seemed inconceivable to me that someone could run 100 miles – are you kidding me? The more I watched, listened and read, a common variable emerged: the mental fortitude needed to complete a 100-mile race. I’ve always loved a challenge, live to train and have a goal to work towards, and believe in the immense power of the mind in regards to achievement. I couldn’t get the idea of running 100 miles out of my head and it began to consume me. I signed up for the Grindstone 100 (which was a mere six months away), got to work, and never looked back. At the Under Armour Mountain Series Killington 50K to get ready for the Grindstone hills. 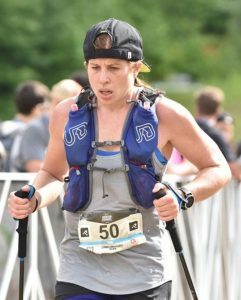 I called the six months my “ultrarunning experiment” and immersed myself in it – consuming as much information as possible from the web, reading every ultrarunning book I could find, and of course voraciously reading UltraRunning Magazine, scouring the pages for advice and tips from the pros. I wanted to know everything. I quickly had new heroes like Ann Trason, Sally McRae and Wally Hesseltine. I became obsessed with the lure of Western States. I bought all the gear, and soon one pair of shoes turned into five and figuring out a way to combat chafing became a top priority (apparently legs used to squatting double bodyweight do not like the not-so-subtle rubbing that occurs mile after tireless mile). Most importantly, I visualized what it would be like to have the feeling of crossing the finish line and did the work necessary to make that a reality. I ran every mile my coach prescribed to me – with the fear that if I missed so much as a tenth of a mile my hopes of crossing the finish line would be squandered. I ran over 1,100 miles and climbed over 80,000 feet of elevation leading up to the race, including my fair share of night runs that started with a midnight wake-up followed by six hours wandering through the darkness guided only by my flashlight, dreams of pizza for breakfast, and in relentless pursuit of my goal. 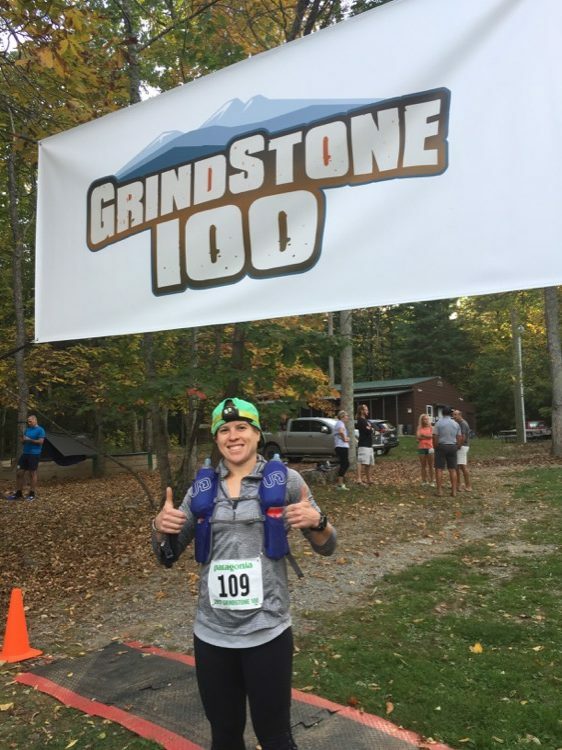 After six months of dedicated training, I completed the Grindstone 100 in 34 hours and 5 minutes. I learned a lot about myself through the experience, and the beauty and wisdom that the sport of ultrarunning has to offer to those who are willing to pay the price of admission (which in my novice opinion includes courage, dedication and more than a bit of insanity). Those lessons will stay with me, and I hope can help others as well. • Never be afraid to put in the work, even if you don’t know what the outcome is going to be. There’s a peace of mind that comes from knowing that no matter the outcome, you know that you put your full effort and energy into your goal. • Just keep moving. Too many people stop when things get hard or they think they’re falling behind. It’s ok to cry, stumble and struggle. But you can’t stop because it’s hard – that’s when you have to double down. • Surround yourself with the right people with the right attitude who believe in you and won’t let you take the easy way out. • Your mind and body are powerful beyond measure. • It’s ok to be the scrappy one. Talent is great and at times it’s easy to be envious of people who it seemingly comes easy for. But the older you get, the more you realize what a hidden gift it is to have to work really hard at something. There’s something immensely gratifying at accomplishing something that is really hard for you. • Go for it – don’t let doubt derail your dreams. To all of you ultrarunners out there, thank you for inspiring me, giving me an example of what the human body is capable of, and for welcoming me into your world for six crazy months. If you ever want to throw around a barbell, I’d be happy to show you the hospitality that your community showed me. I set out with a goal and accomplished it, so you can consider me a “one and done” ultrarunner – but I’ll keep being inspired by all of you and take the lessons I learned out on the trails with me. Thank you, and keep putting one foot in front of the other and shattering the expectations of what is possible. What sort of CrossFit training did you continue to do during this 6-months? Where there specific exercises you continued to do that you think brought value to your race and/or training schedule? 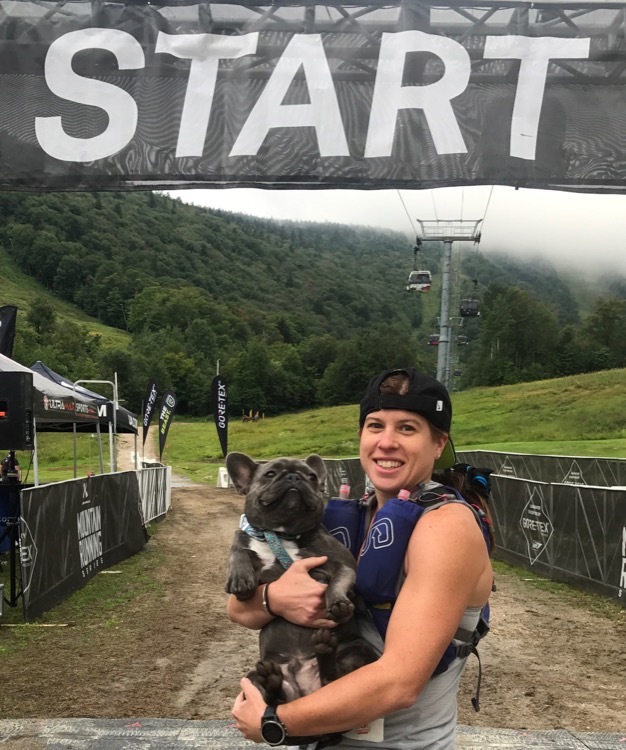 I’m coming from the opposite direction…established ultra-runner who’s now adding HIIT and CrossFit to my routine and trying to find both balance and the right exercises to benefit my (run) training schedule. 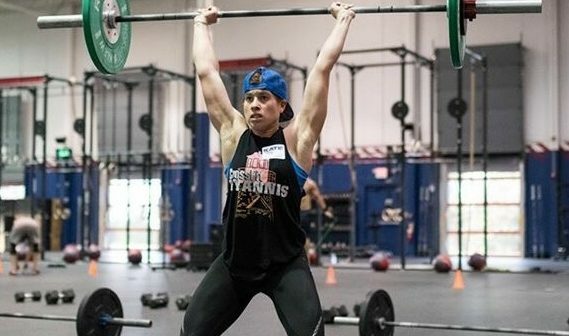 I’m in the same boat – I used to run ultras and then got a job in a city fire department and switched gears to crossfit. Now I’m running again with a few more pounds on and trying to balance running and lifting. Curious about what kind of CF regime you kept during ultra training. Thanks for sharing. can you share your darkest moment? How did you approach feeling terrible assuming you ever did. What was your biggest battle; how did you fight it?In addition to this what was your best moment(s). The mind game in all this interests me. This is such an awesome article! I love seeing people cross from one world into the other and are able to talk intelligently about each and the similarities and differences of each. Well done Katie!! 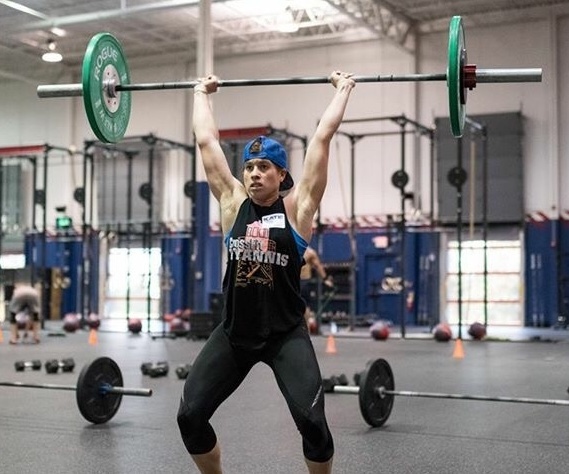 For those who are really interested: there is a specific branch (for lack of a proper word) of CrossFit, which I myself happen to practice, called “CrossFit Endurance (CFE)”. Its creator and lead proponent is Coach Brian McKenzie, and the method is thoroughly described and illustrated in a great recent book, “Unbreakable Runner” published by Velopress. I recommend both (the book AND the method) enthusiastically for any and every serious practitioner of endurance sports. Amazing! I am a crossfit athlete, box owner and ultra runner. I just completed the VT100 over the summer it’s an accomplishment no one can take from you. Congratulations!